Everyday, approximately 3,000 students walk the various halls of NC, treated along their way with the most delightful and devious scents. Rated based on their offensiveness to the nose (1-5, 5 being very offensive) and unique accents, the hallways of NC each possess a signature scent. These two halls most notably host the front admin offices, the entrance to the lunchroom, and NC’s Reserves Officers Training Corps (ROTC) classrooms. Around the front admin halls, the scent reminds one of loneliness, unnecessary passive aggressive comments, and lemon pine air freshener. Walking down the hall, towards the lunchroom, wafts of butter and spoiled milk suprise the nose. As one approaches the ROTC classrooms, stale clothes and fresh sweat bombard the senses. One of the busiest halls at NC everyday, the 300 hall hosts multiple computer labs, social studies classrooms, and the infamous Malfunction Junction. Walking down the 300 hall fills one’s nose with the smell of dusty textbooks, and surprisingly— the faint scent of air freshener. Around Malfunction Junction, one might catch the odor of angsty teens and week old tuna. Towards the end of the year, “funny” seniors release multiple stink bombs over the course of the last few days school. Language arts classrooms inhabit the 600 hall, delighting the nose with a pleasantly clean aroma— sporting hints of cleaning sanitizer, nostalgic old book dust, and gingerbread cookies. The 700 hall features the 8 different language classrooms of NC. On slow days throughout the year, the classrooms host their respective cultures “food day,” flooding the halls with a fantastic fragrance. On 90% of the other days, the hall reeks of eggshells after sitting in still water for days on end. Filled with the Career Technical and Agricultural Education (CTAE) classrooms, the 800 hall provides the least offensive scents for the nose found anywhere in the school. The bland hall welcomes all who pass through it’s doors. Pleasantly plain, the 800 hall never fails in cleansing the noses sensual palette. Under the umbrella of the freshman academy, the 2100 and 2200 halls host one scent and one scent only— the undeniable stench of fear and uncertainty which only freshman can produce. Band, chorus, orchestra, and the upper level math classes all call the deal building home. On the first floor, the odor which fills the nose seems a salad bowl of different scents, including— spit, mildewy carpet, and sweaty nerds. The math classes on the top floor provide the halls with a constant flow of the smell of disappointment and anger. 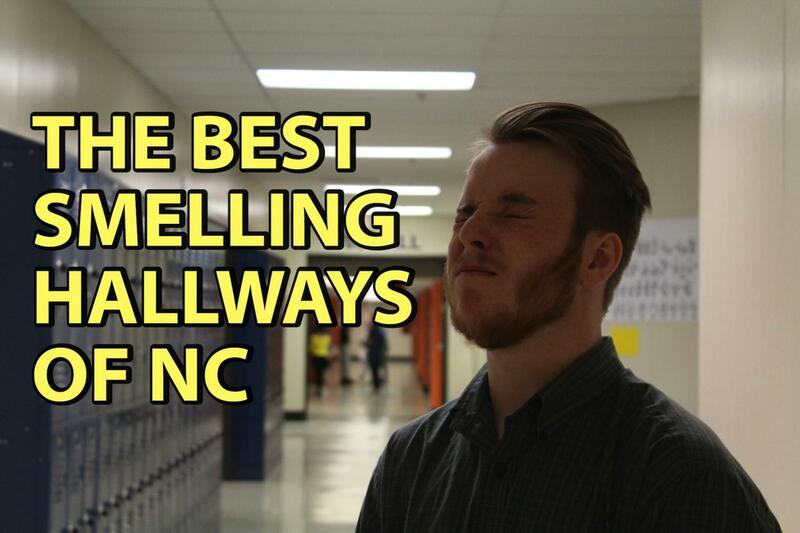 While each hall at NC may host a variety of different smells and scents, at the end of the day, who cares.